Mumbai: The domestic arm of the British lender Barclays, which has been restructuring its operations in India, on Thursday said it is freezing the retail business in the country, a move that comes a day after it sold nearly three quarters of its credit card business to StanChart India. On Wednesday, the StanChart India had told this agency that the it has bought 1.6 lakh of the 2 lakh standard credit card portfolio of Barclays, valued at around Rs175 crore, for an undisclosed sum. But the bank said it bought cards at a huge discount to the book value of Rs175 crore. 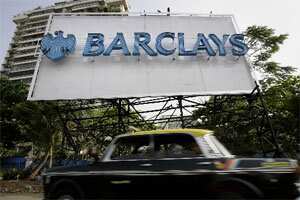 Barclays, which did not confirm the deal officially, has around 3 lakh customers under its credit card business. The plan to quit the retail business will see at least 150 people getting the pink slip, according to a Barclays insider. This comes four months after Barclays, which is fighting to revive profitability, sacking 50 people here, following its decision to merge the sales team of its commercial and investment banking units. The latest job cuts will represent about 17% of the bank’s remaining 850 employees in the country, said the source. It can be noted that Barclays, which will keep its branch network to satisfy the Reserve Bank of India (RBI) requirement, is not alone in paring down its retail business. The Royal Bank of Scotland (RBS) is awaiting RBI permission since July 2010 to sell its retail business to HSBC. RBS has 31 branches in India.